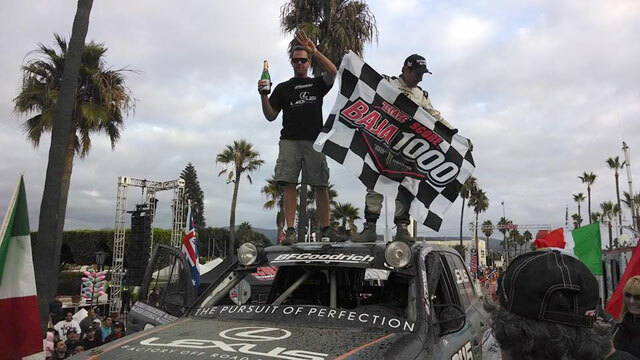 Joe Bacal’s JTGrey racing team have won the Stock Full class of the SCORE International Baja 1000 with their Lexus LX racer. This marks the third time in five years that JTGrey have won the 1,000 mile off-road race through Mexico’s Baja peninsula — the team finished the race in 29 hours and 21 minutes (29:21:42.891 to be exact), with an average speed of 30.1 mph. Congratulations to drivers Joe Bacal & Payton Wilson, co-drivers Christopher Mann, Woody Swearingen & Manny Torres, and the whole JTGrey team! Сафиуллина-Мохамед Ибрагимов: Congratulations again Second in row :) Lexus Rocks!..! Lexus Cohen: Lexus is number 1!